It’s time to stop thinking about extended reality technologies (XR) as a short term destination for innovation. Now, and over the next five years and well beyond, advancements in XR technologies (spanning virtual, augmented and mixed reality) will bring forth a fundamental shift in how humans perceive and interact with others and our surroundings. We are in the midst of a transformation from a world contained by flat screen TVs and PCs, to a world that is more liquid and modular in experience – blending our physical and digital realities together interchangeably. Since we are still in the early development phases of the XR space, there are some key challenges to overcome, ranging from awareness and familiarity with this new medium, to prohibitive costs, as well as lack of device and platform standardization. There are those who may be quick to judge the success or failure of the XR space by headset sales alone. Yet, the journey to immersive is not going to live or die solely by hardware. The value of the immersive medium is most realized in the evolving content, stories, applications and experiences people are starting to build, create and share in these 3D worlds. One only need to look at history to know that significant transformation happens over time. Just less than twenty years ago, most people would never trust online banking, rely on mobile devices over a home phone, or choose social media as their primary way to stay in touch with friends. Yet, over time these new mediums of web, mobile and social garnered user acceptance and usage because the content and experiences provided new forms of value, such as convenience, connection and enlightenment. Technology was a critical foundation, but the key to success for sustained usage over time is not the devices alone, but the content and experiences accessible only through these devices. Already today, we are seeing a powerful uprising in immersive content experiences, powered by 3D content creation programs (Maya, Blender, Cinema 4D, Tilt brush, Quill), world building engines (Unity, Unreal), camera-effects platforms (Snapchat, Facebook, Instagram) and many others. All of these XR experiences bring previously unattainable concepts to life in incredible new ways. Focusing on content and experience design are paramount to success along the journey to immersive. To accelerate progression into the immersive space, companies can all start thinking about these 5 key areas of XR development now. As more cost-effective and accessible 3D software creations tools have become available in the last few years, the standard for product design has begun shifting from 2D to 3D. Sketchfab, a platform for publishing 3D models online, already has over 3 million content models available. The benefits of 3D content creation, most notably via digital twins (creating a virtual replica of a real product), has allowed for much greater efficiency and versatility in content production at scale. Companies like Ikea, Amazon, Wayfair, Shopify and beyond recognize the power of 3D model creation for driving sales through applications that enable product visualization and configuration of 3D models. Facebook has also incorporated 3D models into their news feeds, and publishers like NY Times, Quartz and USA Today are including 3D models to bring their news stories to life in more contextual and dynamic ways. Today, our social personalities come to life through the videos, images and the text we share. Yet, going forward, the next phase of social media will be digital avatars and characters, bringing ourselves to life in more animated and dynamic ways. The rise of digital avatars is already becoming a phenomenon through virtual influencers like Lil Miquela who has over 1 million followers on Instagram. Snaps’ personalized avatar creation tool Bitmoji has over 100 million use installs and Apple’s Message Memojis are poised to capture user’s imaginations this fall when iOS 12 is released. As artificial intelligence begins to converge with XR, AI-powered characters like Amazon Sumerian’s experience hosts will start playing a more active role in future experiences. Thinking beyond the constraints of a 2D screen and designing for frictionless and interactive 3D environments is critical for the success of immersive experiences. The ability to seamlessly blend physical and digital worlds together in mixed and augmented reality entails mapping real world physical spaces together with potential digital points of intersection and data overlays. Mirroring natural human behaviors and gestures as much as possible is also an essential consideration for designing intuitive XR user experiences. The most impactful XR experiences inspire and engage users through narrative stories and personalized interactions. Empowering users with a sense of agency and control over the outcomes of an experience is a key driver for ongoing engagement. Providing users with creative tools and content for social expression and sharing (e.g. Snap, Facebook & Instagram) ignites news dimensions of branded engagement. XR interactions enable discovery of significant human insights through biometric measurement, which includes eye tracking, facial recognition and heart rate detection. Highly personal data can be captured and analyzed, including emotional response and magnitude of reactions, gaze-based interests, as well as levels of stress and anxiety. Now more than ever, thoroughly understanding and planning around the ethical authentication and usage of these forms of data are crucial considerations. In as much as XR promises incredible potential for good, we need to learn from history and make sure we know how to handle these technologies in a responsible and thoughtful manner. Please keep in mind these five strategies are a starting point along the journey to immersive. The vocabulary continues to evolve, new 3D software platforms and creative tools continue to be released, and needless to say the technology devices are rapidly evolving. If you want to lead in the new, best to immerse yourself now. 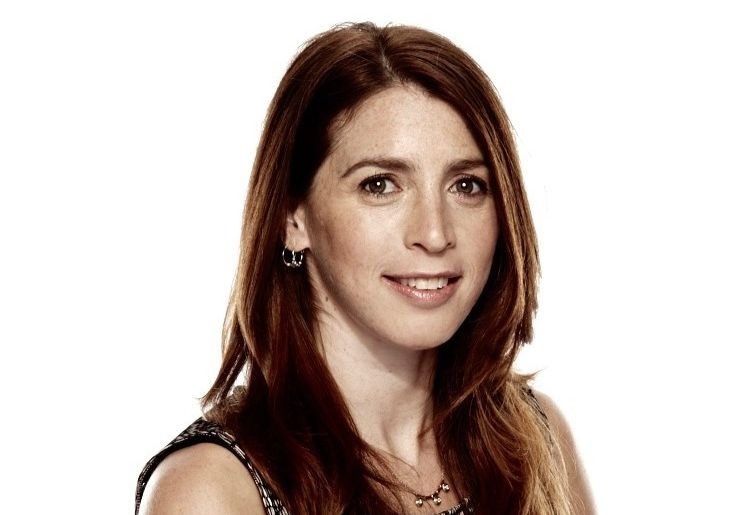 Rori DuBoff is the head of content innovation and extended reality (VR/AR/MR) at Accenture Interactive.